The residential real estate market in NH ended last year with the most sales since 2006, and the highest amount in terms of dollars since 2007. According to data released by the New Hampshire Association of Realtors, median home prices moved higher the last five months of 2012. 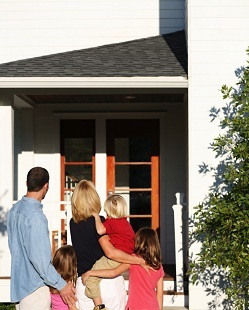 New Hampshire single-family home sales increased 21 percent in 2012, increasing to 12,961 from 10,714 in 2011. Most real estate professionals agree NH home prices are still several years away from the point prior to the real estate bubble bursting. The median sales price for 2012 was $202,000, a slight increase from $201,700 in 2011. Lower prices, NH first-time home buyer programs and low interest rates are providing first-time home buyers with an opportunity to purchase their first home in the Granite State; however, a continued lack of inventory may spark an increase in prices in 2013. "The number of foreclosure sales in the state has remained stubbornly high, between 3,300 and 3,500 every year since 2008, according to the New Hampshire Housing Finance Authority, but distressed sales are shrinking as a percentage of the overall sales numbers,." the New Hampshire Union Leader reported. Nationally, distressed sales declined 35 percent last year. Although some foreclosures may appear to be a bargain, NH foreclosure home buyers should be prepared for a lot of work in most cases.